In the past month I've attended two writer's conferences. I learned so much and I wanted to share that knowledge with everyone else. Many of you follow me on Facebook and Twitter, but I thought it wouldn't hurt to recap my bits of advice shared. I'm going to put all of my tweets below and if you have any questions, or you just want to discuss one of the points, leave me a comment! 1. When picking an agent, make sure they're hungry to sell your work. 2. The theme for this conference is writing from the ashes. Adversity strengthens us. 3. Make sure the readers know why we should care about the character from page one. Hardships aren't enough. 4. If it doesn't tell you something about the character, story or tone, then don't use it. 5. Make your words simple and sensory. 6. Creating back story before we write gives our characters more consistency. 7. Often people choose to avoid pain rather than seek pleasure. 8. Internal and external conflict should be happening at the same time. i.e. Luke losing his hand as he finds out Darth Vader is his father. 9. Food writing is a new trend. Food can be a great hook. 3. Why do others reject us? It’s because they’re struggling too, consciously or unconsciously, against their own resistance. 5. Let your characters dictate to you. If you force it, it comes across as false. 6. More than ever people are looking for books with a champion. What's the best conference you've ever been to? Avoiding pain over seeking pleasure - very true! 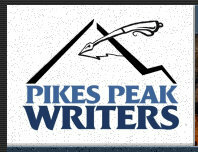 I've never been to Pikes Peak Summit. LDStorymakers was amazing-I met so many awesome writers and on-line friends (including you!). It was super fun. Besides Storymakers I've been to Writing and Illustrating for Young Writers-I'd also recommend that one. I posted Storymakers tidbits today as well. My favorite came from Anne Perry, wasn't she inspiring? And that voice, I could listen to it for hours. "We can write good letters, but a book is of more value. It is a letter to mankind." I love that last one about champions! Sounds like you reaped some great tidbits-- thanks for sharing. One of these lifetimes, I will make it to the Pikes Peak-- it's in my backyard. It's so true that we need to let our characters dictate the story to us. So many times, a story has gone in a direction I never planned, simply because of what the characters wanted or needed. Fab list, Jen. It was so great seeing you! I think I remember you tweeting (someone did) about the food hook thing. What a great idea! Ohhhh... what a great list, Jenny! I was only there Saturday, so I missed a lot. Thanks for the recap! And I could tell Storymakers was a great event, but the SCBWI conferences are the BEST. Seriously love them. Good points, Jennie. I especially like #4 from the first conference, and #2 from the second. I'll be travelling soon so I'll definitely use the travel journal tip. These are really great tips. I especially like your last one, that people are look for champions. I noticed that the last time I was hunting for a book to read just for fun. Great tips! I love the one about keeping a travel journal. These are some nice tips, J.A.. I particularly agree with #3 - hardship and adversity are never enough. There ought to be some angle, some personality trait or lack thereof that draws me into whatever happens, especially in this market, where ideas are pillaged so regularly that a premise is unlikely to be unique. "Keep a journal when you travel"... good one!